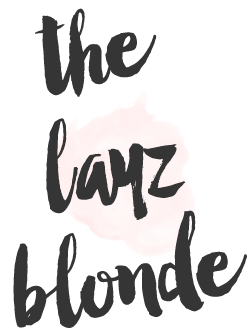 the layz blonde : Battle of the Dry Shampoos! How I use dry shampoo; 3rd or 4th day of the hair cycle and then whenever needed. Pro tip; put some dry shampoo in your hair before bed-you can go a little ham with it. When you wake up, your hair will look like it was just washed! In a pinch? Spray the dry shampoo at the roots under the top layer while you apply your makeup. Brush out and you’ll be out the door. No need to spray the top layer of your hair!! Batiste; I really think that this is the holy grail when it comes to dry shampoo. They have a bunch of different types; ones based off hair color, ones that smell fruity or clean, etc. You can apply this on a whim and run your fingers through your hair and be good to go. It always holds up and doesn’t get a lot of buildup until at least 2-3 uses in. Cake; Ugh, this one was SO disappointing in all aspects of a dry shampoo. It smells terrible-they attempted a vanilla frosting like scent and it just smells gross, not at all like dessert! It comes out more wet than most dry shampoos which I don’t care for. It can build up very quickly and takes a while to dry. I found when I popped this in before bed, I’d still need to apply in the morning to get my hair to look good. Kristin Ess; the smell is everything, literally smells like perfume for your hair. This does a great job at covering up the grease and not leaving you with “dry shampoo hair”. “Dry shampoo hair” it looks great, it does not feel great. Like when I have DSH, I pray NO ONE touches my hair. Ugh, I hate that feeling. You can use the KE one for a few days and the build up isn’t bad at all. Amika; I love the smell of this one as well! I love a good smelling hair product and Amika doesn’t disappoint in this department. If you use this one more than once and don’t work it into your hair well, you may experience DSH with this one. I used this a lot when I had tape-in extensions which made it hard to work the roots, but if you are looking to splurge or see Amika on sale, pick this up!